Originally developed for demanding race applications, our premium Performance GoldÂ® Oil Filter is rapidly becoming a favorite among consumers for its durability and easy removal. Each of our automotive and marine oil filters comes with a 1â€ nut welded to the top of the canister so they can be easily wrenched-off with a standard tool. 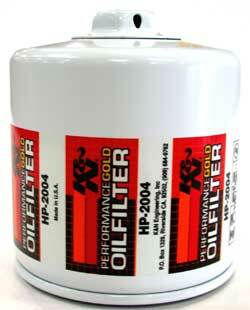 To satisfy the demands of racers, our oil filter has many features over and above the requirements of most vehicles. We use thicker canister walls for extra strength and durability which reduces the risk of damage from loose rocks and debris. The drilled hole on the nut provides for safety wire attachment. Our oil filters also use a resin impregnated cellulose filter media. This allows for higher flow rates while providing outstanding filtration.